Price: Free to Members and Non-Members, but users must register in advance. Are you making the most of your NASFAA membership? NASFAA members have access to a wide range of products and services. In this webinar, we are going to take a look at how NASFAA can help you with training and compliance. From our AskRegs service to the Compliance Engine or our topic based self-study guides, NASFAA has benefits designed specifically in support of the financial aid office. Join our Chief Training Officer, Dana Kelly, for a tour of these and other benefits and see how they fit into your office's needs. We want to ensure we are delivering the most pertinent information to our webinar audience. To assist us in preparation for this webinar, please take this opportunity to share questions you would like addressed on this related subject. Please register prior to the start of the webinar. If you miss the live webinar, an on-demand archive will be available for purchase shortly after the event. NASFAA Webinars are hosted with ON24. Please add NASFAA_do_not_reply@on24event.com to your Approved Senders list to receive important emails regarding the webinar. If you require any special accommodations for this event, please contact us at webinars@nasfaa.org. Accommodations must be requested two weeks prior to the event. Due to email solicitation laws, we are unable to automatically register Value Plus members and webinar package purchasers for each event. If you plan to view the live webinar, please register. Registrants will receive confirmation emails from ON24 once or twice before the start of each live webinar. If you do not plan to watch the live webinar, you can order access to the on-demand webinar when available. 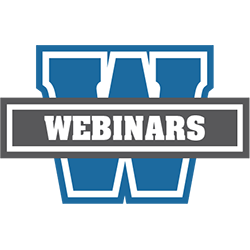 On-demand archive availability is listed for each webinar when the archive is ready; however please note that archived webinars may be removed from the store at any time if the content becomes out-of-date due to regulatory changes. Please contact Membership Services with questions, or for additional invoices.